Lyzando is a 3 year old son by George Clooney (De Niro x Wolkentanz). George Clooney shows very good offspring. They are modern types with three very good gaits. George Clooney himself is showing a lot of talent for piaff and passage. 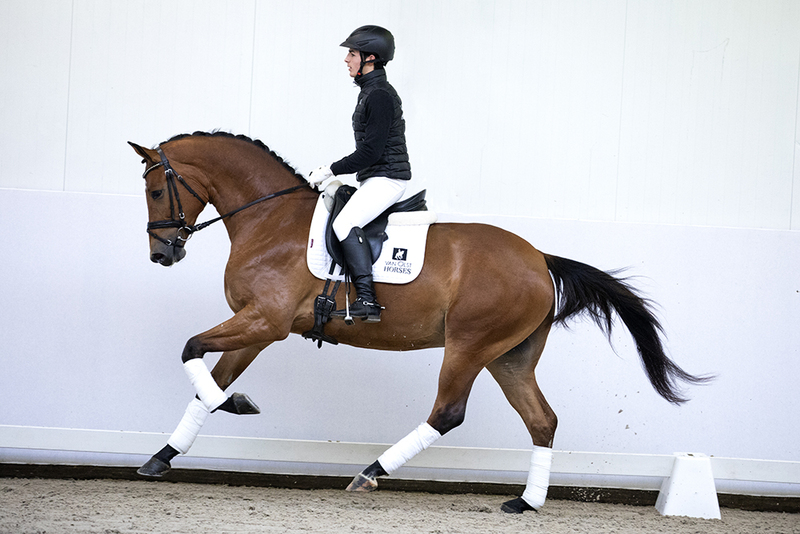 He competes succesfully at Prix St George level. 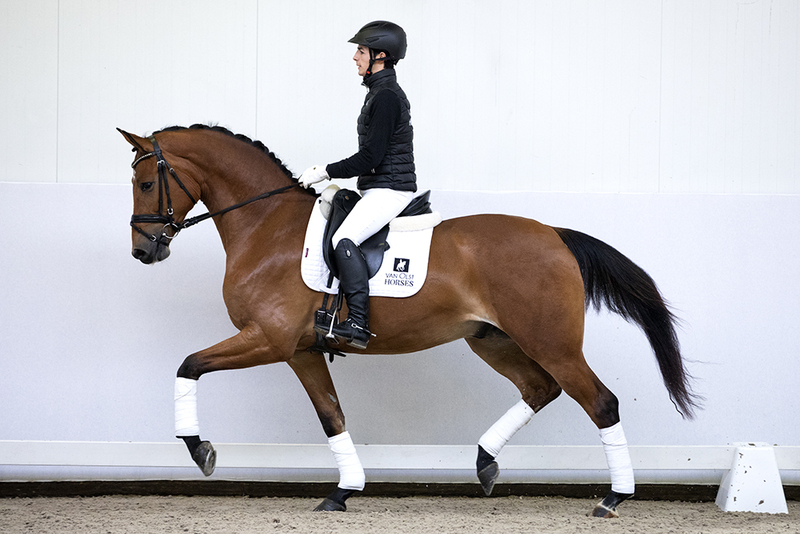 Lyzando has a very nice front leg technique and shows willingness and suppleness under the saddle. The dam line of Lyzando produces very good sporthorses. Grand dame Wendy is also mother to International Small Tour horse Cerano-Gold with Lucy Wells (GBR).